This bar of soap contains ridges on the outside to provide the massaging aspect. This will last for about three to four uses before it become small enough to not get this effect. 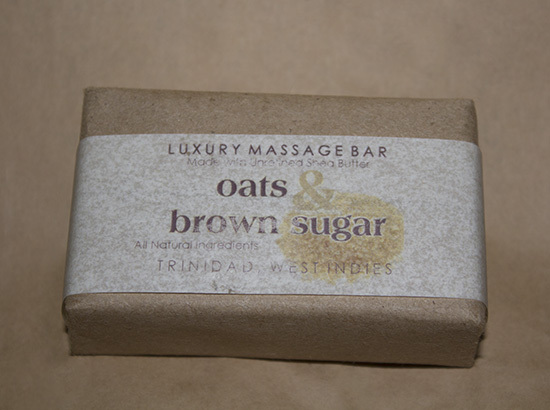 The oats and brown sugar are present throughout the bar and provides great exfoliation. The granules of the brown sugar are quite large and reminds me of the particles in the St.Ives apricot scrub. 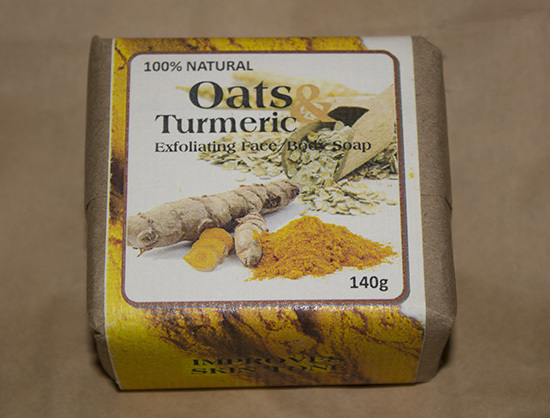 Rub onto skin gently or it will be too harsh on skin but perfect for the tougher areas like under the feet. The size of the bar is about half the size of the regular bars (approx 70g). It's a hard bar and doesn't melt away quickly. Ingredients list states that the soap contains fragrance but it is mild and seems to smell like the natural ingredients included. 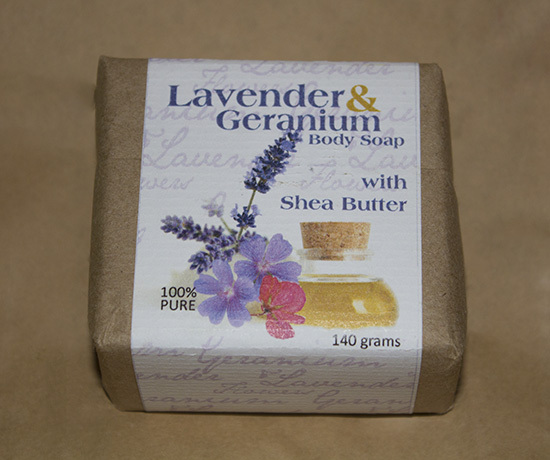 Bar has moisturizing and softening properties from shea butter. It is also said to be enriched with vitamins A and E.
It is packaged simply in brown paper with the label wrapped around the bar and ingredients list to the back of package. This bar is a large size one at 140g. Contains particles (those little brown specks seen) for a gentle exfoliation. 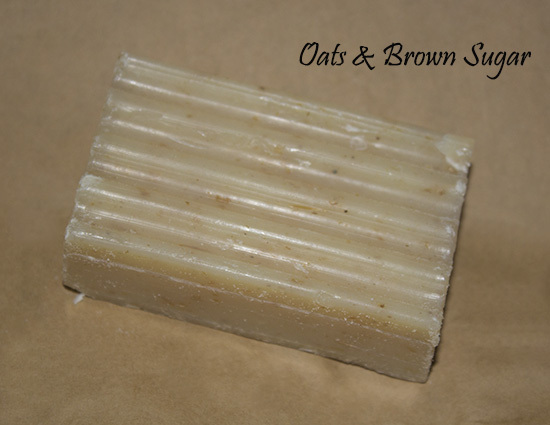 It is a hard bar of soap and so doesn't melt very quickly if stored properly. Even though they stated use for face, I preferred its use for the body. The scent was divine with the lavender being the more prominent scent. 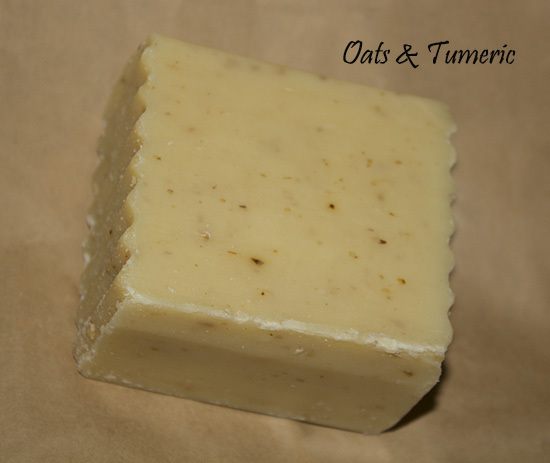 This is a hard bar of soap, in that it doesn't melt very quickly yet provides a good lather on contact with water. 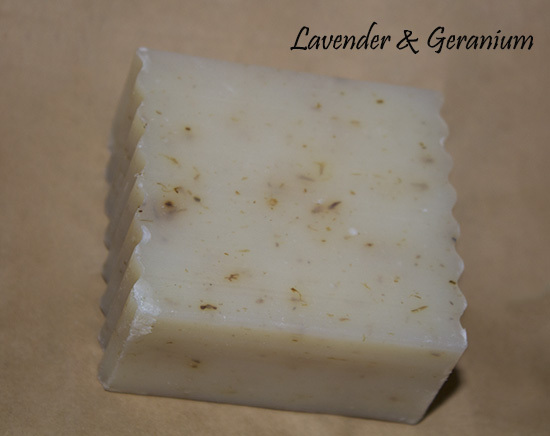 The bits of lavender and geranium provides for gentle exfoliation to the skin and was present throughout the entire bar. 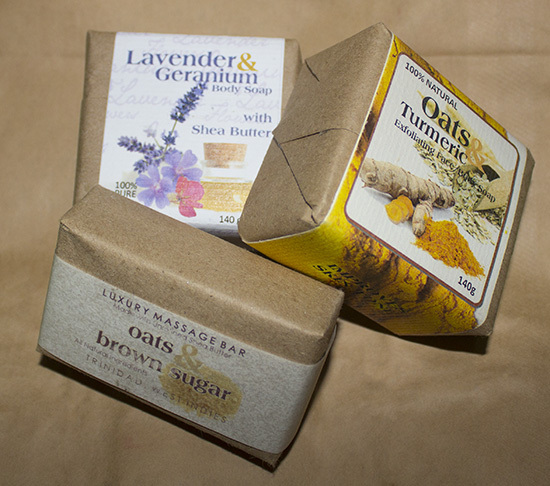 To see more of what Fine Soaps Ltd. has to offer visit their Facebook page or Website.